OK, a single pepper might not be considered a "harvest" - but, I can proudly say we grew it. 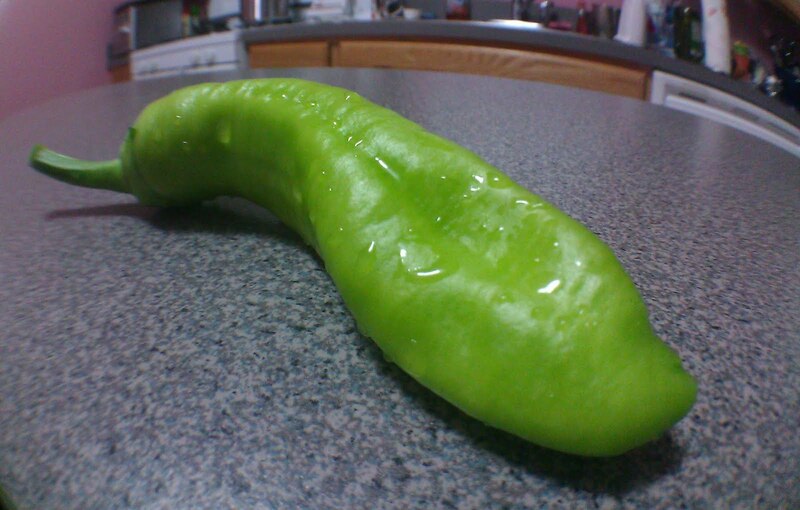 I'll try not think of how much money this single pepper cost. At least we got to eat it before the local animal life. There's still plenty of life left in our pepper and cucumber plants - so maybe there's still hope for more! Photo taken with the fish eye SmartLENS on my G2. Not too shabby considering the cruddy indoor lighting. How far can they push the joke?